There are currently 27,116 users on this website. I noticed this large cent is alot thinner then the others as well as smaller. 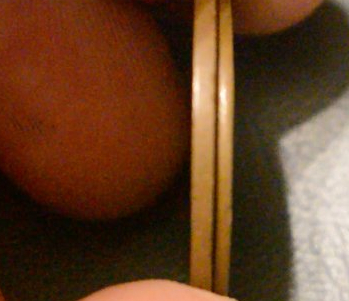 In one of the pictures the smaller large cent is placed on top of the other large cent and look how much smaller it is? If the thin one is an 1858 or '59, that's the way that they were made ... 1/3 thinner, but the diameters should be the same. 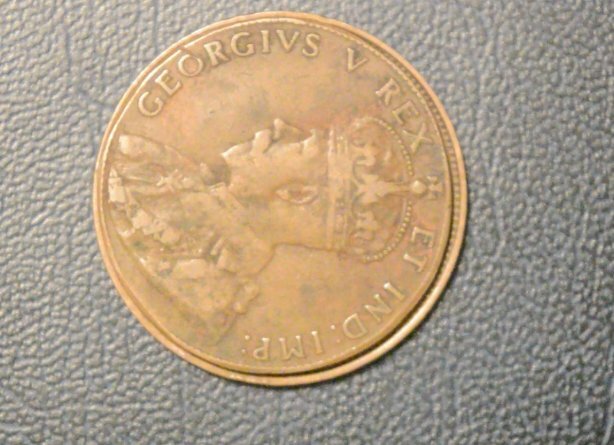 It looks like the George V coin had its rim ground off-notice that there are no denticles. It may just be thinner because there is no rim left. But a weight would help to confirm this idea. is the other side overly worn, or damaged? why would the coin be about 1/3 thinner? What year is the smaller coin ? How much does the smaller one weigh ? If it's 1920, maybe a small planchet got in with the large ones ? The smaller penny is a 1911; no 'Dei Gra' on it. why would the coin be about 1/3 thinner? Remember that the rim is the thickest part of the coin - remove the rim and the edge view looks much different. Try taking some callipers and measuring the thickness of any large cent inside the rim. It took 1.43 seconds to rattle this change.